Dr. Elfatih Ahmed Yousif Omer completed his MBBS in 2005 from Faculty of Medicine-RED SEA University in Sudan, followed by 16 months of organized internship covering majors (Medicine-Surgery-Pediatrics-Ob & Gyn) plus 2 majors (Orthopedic Surgery and chest) in 2007 with permanent registration in Sudan Medical Council as general practitioner. Dr. Elfatih has over 10 years’ experience in general medicine and home care ,out patients clinic ,acute cases In Sudan 2007 -2010 as well as in Saudi Arabia 2010 -2014 where he work as residence of internal medicine and inpatients doctors in KSA, also was coordinator of home care in ALsulyyl hospital Riyadh area KSA . He has experience in quality management as he was the quality control coordinator in ministry of health Khartoum Sudan, and was responsible for designing policies, procedures and standards of department. He has also worked as general medical director in alnou teaching hospital which is one from largest hospital in Sudan. 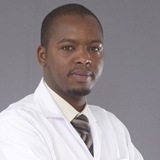 He took many training and certificate in administration and planning and quality beside his job as medical doctor. Dr. Elfatih is currently a general physician with special interest in general medicine and chronic disease as well as research, and prevention educational life style medicine. He participated in many national and international conferences in Sudan and Saudi Arabia He is active a member of Sudanese Medical Doctors. He got many certificates and appreciations in Sudan, as well as KSA for his distinguish working. He speaks Arabic (as native) and English.